Our goal is to connect people with the best local experts. We scored home inspectors on more than 25 variables across five categories, and analysed the results to give you a hand-picked list of the best home inspectors in Rockaway, NJ. Best Choice Inspections is an owner operated inspection services that provide residential and commercial inspections throughout Northern New Jersey, including the Bergen, Hunterdon, Morris, Passaic, Sussex, Somerset, and Warren Counties. The owner, Chris McDowell, is fully licensed and insured in the State of NJ as a professional Home Inspector and Radon Measurement Technician. Best Choice Inspections can perform home purchase and pre-listing inspection, radon testing, commercial inspection, new home warranty inspection, project consulting, septic testing, and oil tank inspection. During an inspection, Best Choice Inspections looks over structural, exterior, roofing, plumbing, electrical, heating and cooling, interior, and insulation components as well as fireplaces and solid fuel burning appliances. D-TECT Home Inspections is a professional property inspection business located in New Jersey that serves clients throughout the state's Northern and Central metropolitan areas. Fully licensed in New Jersey, D-TECT Home Inspections is a member of the International Association of Certified Home Inspectors has more than twenty years of experience in the industry and accepts both residential and commercial projects. The company uses the HomeGauge computerized home inspection system and offers clients such services as warranty inspections, buyers' inspections, sellers' inspections, and inspections for environmental hazards such as mold, radon, lead, and asbestos. The company can be contacted by phone or email. Serving residential and commercial clients in Newton and the surrounding areas, DICO Building Inspection Service is a superior choice for a home inspection company in the local community. Their successful business was created in 1974 and can be counted upon to provide a thorough and objective evaluation for a variety of property types. Their organization prides itself on having an inspection plan that thoroughly covers every facet of a property, in order to give each client the knowledge and confidence needed for purchasing a new residence or business. DICO Building Inspection Service understands the importance of customer interests and promises that each inspector be extremely knowledgeable, experienced, and capable, ensuring that information will be related to clients in an easy to understand manner, timely manner. Informative Home Inspections is a home inspection company in Pompton Lakes, New Jersey, serving the Northern New Jersey area. George Peirce carries more than 30 years of experience in the real estate and the design-build industries as an architectural photographer. Their services include complete home inspection, radon levels testing, and termite inspections. Informative Home Inspections serves home buyers, home sellers, realtors, investors, and attorneys. The principal of this company George Peirce holds the home inspector license number 24GI00122800. He is a proud member of the New Jersey Association of Licensed Professional Home Inspectors, The Association of Independent Architectural Photographers, and New York-New Jersey Trail Conference. LookSmart Home Inspections, LLC is an independent home inspector serving New Jersey home buyers for more than 11 years. Its service area encompasses the counties of Morris, Essex, Bergen, Passaic, Hudson, Hunterdon, Mercer, Middlesex, Monmouth, Ocean, Somerset, Union, Warren, Sussex, and Burlington. LookSmart Home Inspections delivers comprehensive home inspection reports with a detailed narrative and supporting photos. Founder and lead inspector John Martino is one of the few to complete the state of New Jersey’s 300-hour home inspector licensing program. He conducts thorough and comprehensive inspections that run 3-4 hours, and delivers completed reports to clients in 48 hours or less. He is a member of the Independent Home Inspectors of North America. Established in 2011 and located in Wayne, New Jersey, Perfection Home Inspections, LLC serves residential and commercial clients throughout the state. 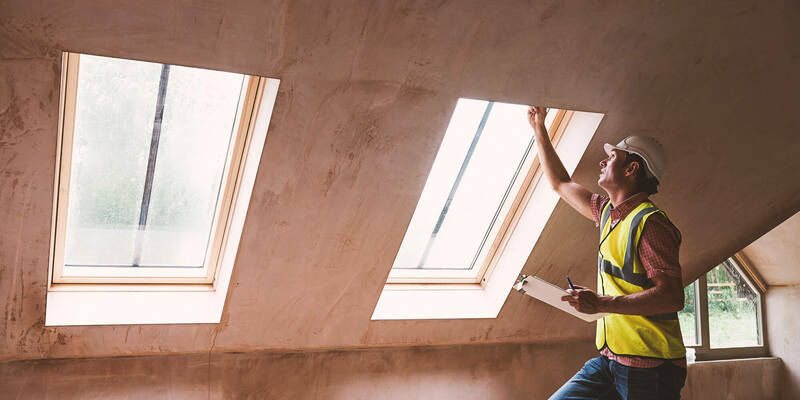 With over 40 years of experience as a home builder, contractor, building analyst, and energy auditor, owner Jeff Guidetti provides honest, detail-oriented inspections at affordable rates. He evaluates the condition of over 500 components of every home including the foundation, interior and exterior walls, electrical systems, HVAC, plumbing, roof, attic, appliances, doors, floors, ceilings, garages, grading, and drainage. He also offers radon testing and termite assessments. Perfection Home Inspections, LLC provides comprehensive reports with digital photos, offers a 100% satisfaction guarantee, and has received Angie's List Super Service Award. Speer Home Inspections provides residents of Wayne and the surrounding communities with high grade, professional home inspection services. The company performs an extensive and in-depth home inspection that covers all accessible areas including the roof, producing a detailed narrative report of the property that includes color pictures. Speer Home Inspections also includes services such as radon testing, wood-destroying insect inspections, air quality inspections and environmental testing. Previous customers have lauded the company for their timely service, friendly demeanor, professional attention to detail, and for their thoroughness. Past clients also report high levels of satisfaction with the detailed final report generated by the company.